Over the last year, we’ve seen a major increase in the demand for steel replacement windows, often referred to as Crittall®-style windows. 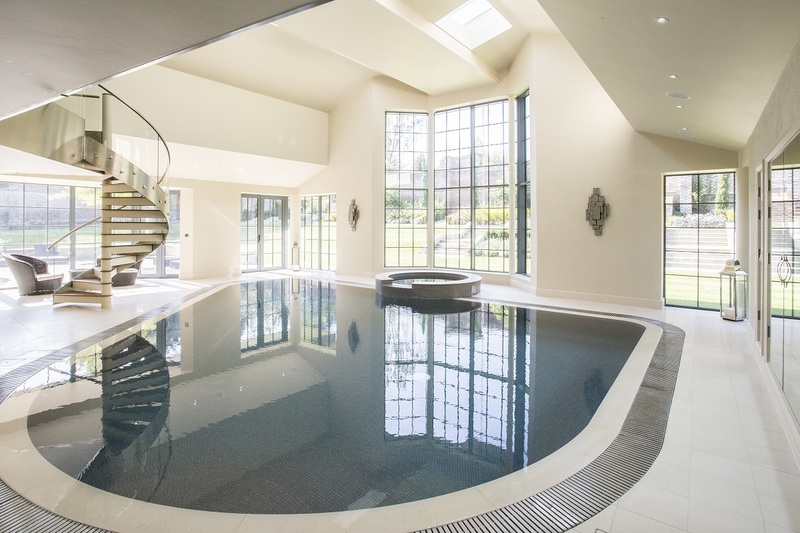 The heritage, Art Deco style frames have been all over the construction and home building shows in 2018, in the form of shower screens and room dividers as well as windows and doors. To meet the growing demand for the steel-look windows, we have our stunning range of Heritage 47 aluminium windows. The appeal of heritage windows is that they strike the perfect balance between traditional and contemporary style. Heritage Crittall®-style windows are often associated with Art Deco style properties, but over the last few years we’ve seen them appearing in the glossy home improvement magazines for projects looking to add sleek style. The steel replacement windows have been sought after by homeowners who want to make a style statement. Heritage windows don’t just offer the perfect look from the outside, they enhance homes from the inside too. The slim aluminium frames of our Heritage 47 windows let in more light, allowing for a brighter and more airy home. Heritage windows from Everglade Windows can be designed to suit your customers’ individual style. The Heritage 47 range is available in any RAL colour for full design flexibility, and is available with a selection of hardware to complete the look. For extra charm and traditional style, there’s an option of a dummy stay arm and monkey tail handles, in either Antique Bronze, Bronze Red Tint and Graphite, as well as Black, White and Polished Chrome. Standard handles are available in Black, White, Gold, Chrome and Silver. We know how important it is to offer your customers security, as it’s one of the first things they want to know about. With our heritage windows, you can offer them security as well as style, as the Heritage 47 range comes with a host of safety features. These include high security multi-point espag locking, hinge protection and PAS24 accreditation. For extra peace of mind, customers can upgrade to a Secured by Design option. The benefit of choosing Heritage 47 as replacement for Crittall®-style windows is that they are thermally broken and offer better U Values of 1.5 W/m2K. This, combined with water tightness up to 600 pa and wind resistance of 2400 pa, makes a window with excellent energy efficiency and insulation to keep your customers’ homes warm and energy bills down. The beauty of the Crittall®-style window style is that it has stood the test of time, adapting to meet the expectations of homeowners in the 21st century. 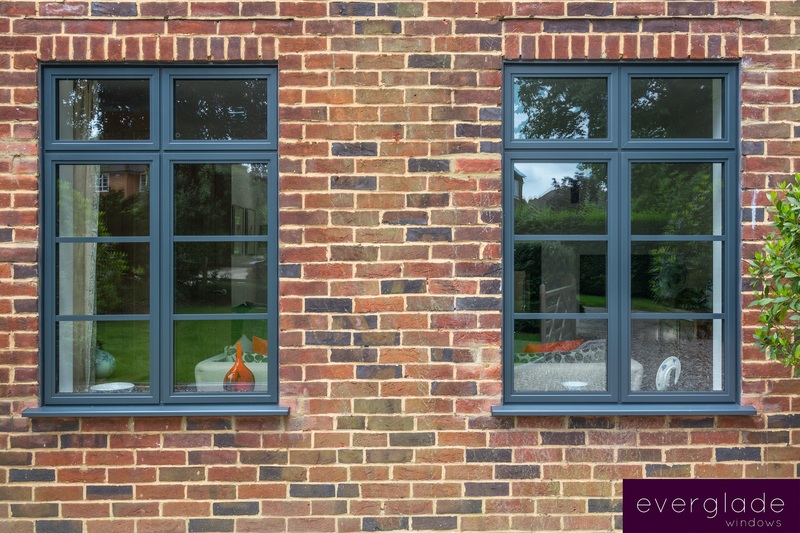 Heritage 47 windows from Everglade will last a lifetime too, with resilient, durable and strong aluminium frames. You can meet the growing demand for steel replacement windows with our Heritage 47 windows as we offer a fast turnaround. 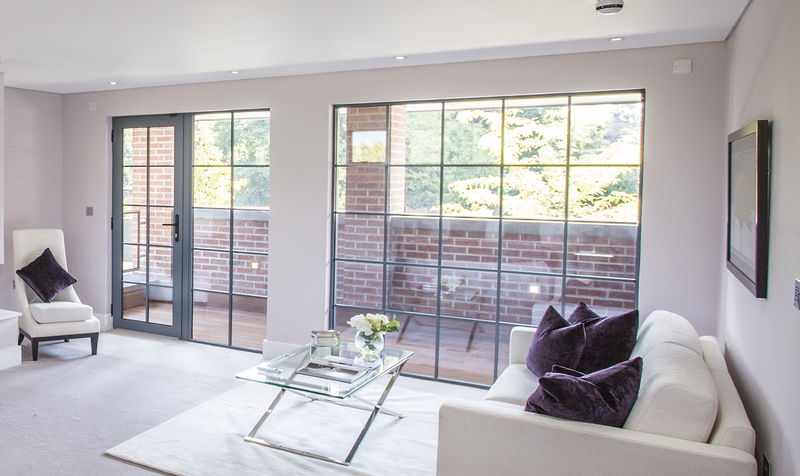 We also offer Heritage 47 single or French doors to tie together the Crittall®-style throughout the whole home. 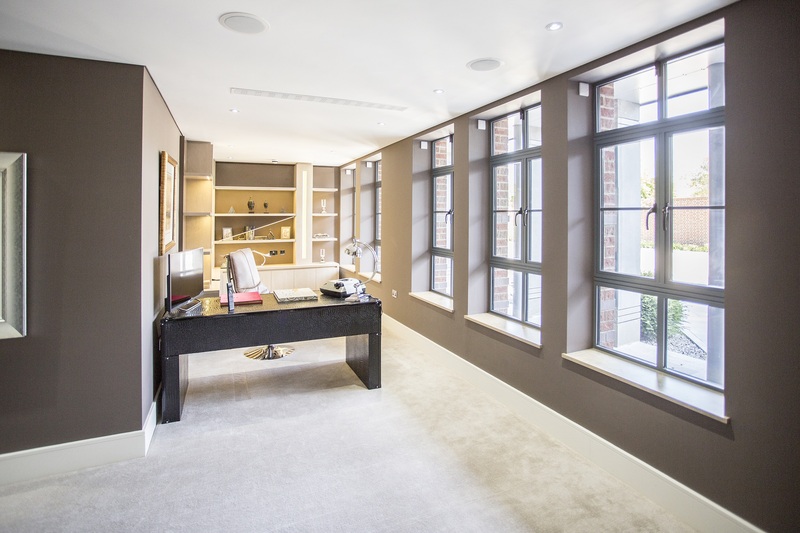 You can find out more about our Heritage 47 windows by calling our team on 020 8998 8775. You can see our full range of windows at our showroom in Perivale, and you can even bring your customers too. Find us on 22 Wadsworth Road in Perivale, Greenford.